Arsenal ‘as live’ – as if! 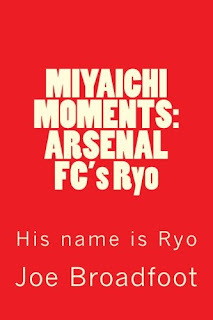 Home/arsenal fc, arsenal player, indonesia dream team, ryo miyaichi book/Arsenal ‘as live’ – as if! I was looking forward to watching Indonesia's Dream Team take on Arsenal 'as live'. For the man in the street, that mean the whole match will be shown, but the footage won't be instantaneous. So much for progress. So much for 'tuning into' Arsenal Player. I've got a trance house track on repeat and a message on screen saying 'Matchday Show starts at 4.30pm'. It's 10 minutes late already and this trance dance track is sending me to sleep. To make matters worse, I've kept away from the news but I already know the score. As soon as connected with Arsenal.com, up it popped! Thanks Arsenal! At least they've put on another song now. That's on repeat too, as we await 'the match day show'. Only 12 minutes later, it's on!